I, like many people, upgraded to El Capitan and it was great and pretty seamless experience… with the exception of one update. I was not able to upgrade my iPhoto application which subsequently made it difficult to use photos in my iMovie installation. 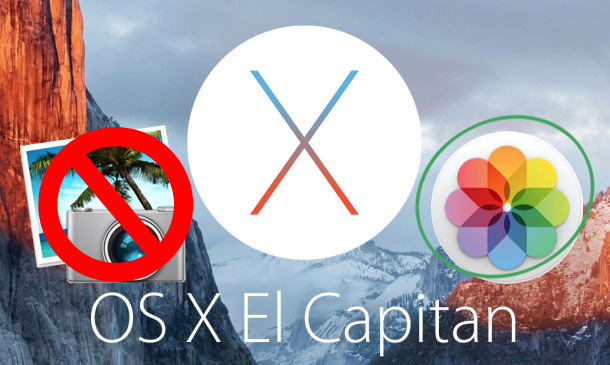 While iMovie still worked, it didn’t allow me to add photos because of the El Capitan update. I logged in to the App Store to investigate and found an error that said something like “You can not upgrade because the update was not purchased from this account”. So after countless tries to update iPhoto and iMovie I finally checked the App Store for iPhoto, but it was nowhere to be found! I looked around some more and found out that Apple had done away with “iPhoto” and has replaced it with “Photos”. So I deleted the iPhoto download updated iMovie and all was right in the Mac World. Not sure how I was supposed to know about this change and not sure why they didn’t have better error messages that would make it more clear on what I was supposed to do.